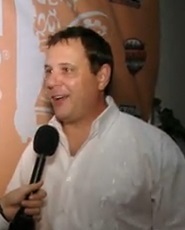 Duncan MacDonald was touted as an IndyCar sponsor on YouTube. The SEC now says he was running a $10 million Ponzi scheme. “MacDonald and [Gloria] Solomon knew that the brokers were repeating their false claims to potential and existing investors, and intended for them to do so,” the SEC charged. MacDonald, GCA’s President and CEO, is 50; Solomon, GCA’s chief administrative officer, is 71. She now joins a long list of alleged senior-citizen Ponzi schemers. Both Solomon and MacDonald are Dallas residents and have been charged civilly and criminally, the SEC said. Such an excuse could have come straight out of HYIP Ponzi Land. GCA, according to the SEC, also told investors that money “was stuck in GCA’s overseas account.” If that weren’t enough, GCA also allegedly created numbers on a screen to dupe investors, something that HYIP Ponzi schemes promoted on various forums and social-media sites do every day. Just how made-up were GCA’s numbers? GCA also tried to escape its bitter Ponzi reality by falsely claiming it “previously sold a portion of its revenue stream from paying members to a Chinese hedge fund,” the SEC charged. But if there is a topper — if there is one thing that investors contemplating joining an HYIP can learn from the experience of GCA — it’s that heavy marketing perhaps can produce Ponzi-sustaining cash flow for a limited time, but it cannot undo what effectively is a criminal business plan. Like its MLM-style HYIP cousins, GCA allegedly launched as a Ponzi and only made the Ponzi deeper by burning through money to put on a show for investors and prospects. At this precise moment, any number of schemes promoted on the Ponzi boards are using an HYIP/MLM version of the very “plan” GCA used in the brick-and-mortar world. They’re launching/operating with no underlying profitable business, perhaps trading on the names of famous business entities to create legitimacy by osmosis and even claiming they’ve been vetted by attorneys. And they’re relying on commission-based salespeople to create cashflow for their schemes. Like GCA, each and every one of the HYIP schemes will end in disaster. The only real question is how much money they’ll steal before the inevitable collapse, how much damage they’ll do to business partners and how much cash the operators will siphon. 19. MacDonald believed that the new venture required $15 million of initial capital and envisioned that this funding would come from a single investor. During 2008 and 2009, MacDonald was introduced to and spoke with a number of people he understood to have access to these kinds of funds, including potential investors and brokers. But MacDonald and Solomon began spending money on the business before raising any capital. They began hiring employees, heavily marketing the program, and pursuing sponsorship agreements with large groups. Indeed, by June 2010, GCA had entered into a multi-year, multi-million dollar sponsorship. 20. MacDonald tried for months to find a single investor, but was unsuccessful. Accordingly, MacDonald decided to fractionalize the program—for example, seeking 15 investors to invest one million dollars each, rather than a single $15 million investment. When pitching the business to a least some of these investors, and to brokers who were assisting him in identifying investors, MacDonald significantly misrepresented the history and state of GCA and NACA’s business. First, MacDonald led them to believe that NACA already had more than 100,000 premium-paying members. Further, he told them that GCA had previously sold a portion of its revenue stream from these paying members to a Chinese hedge fund. MacDonald told them that these kinds of purchases were normally not offered to individual investors but were typically reserved for large institutional investors. In reality, when MacDonald made these statements, GCA and NACA had no paying members, no revenue, no history of selling interests in a revenue stream, and no relationships with institutional investors or a Chinese hedge fund.